The summer sun can really heat up the interior of your vehicle. Cut back on your air conditioning use with a practical and attractive window tint. 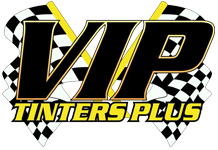 The team at VIP TINTERS PLUS can quickly and effectively install window films and accessories on your car or truck. Let us put the finishing touches on your vehicle. Customize your vehicle with window tints and protective accessories at VIP TINTERS PLUS in Conroe, Texas. Our team of installers can set you up with spray on bedliners, bed covers, step bars, floor mats, hitches and more. You can also get goose neck hitches and push bars on your vehicle. Our automotive shop has been locally-owned-and-operated for over 20 years. We're proud to serve surrounding cities, such as Magnolia, Montgomery, The Woodlands, Spring, Willis, Huntsville, Cleveland and Porter, Texas. We provide local auto dealers, residential homeowners, and commercial businesses with state-of-the-art computerized film-cutting technology to ensure the safety and appearance of your vehicle. You can choose from dyed, ceramic, and Carbon SunTek window films. You'll get a quick turnaround on vehicle work. Depending on the job, we may have the work done in a couple of hours, and customers are welcome to relax in our comfortable waiting area. We focus on providing great customer service, and all of our services come with a strong lifetime warranty.